GoPens.com | GoPens in Pen World! 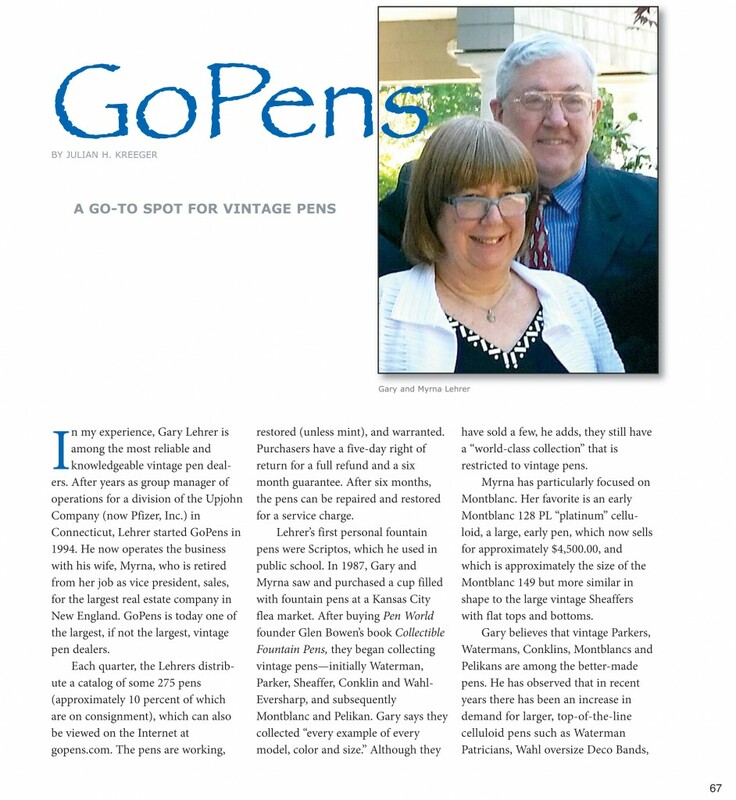 Myrna and I, here at gopens.com, are featured in the current edition of Pen World, Volume 28, #1. Pen World has been publishing for more than a quarter century, bringing together the writing culture and sharing new pens, vintage pens, paper, and more. Myrna and I talk about what we collect, how we started, and even suggest some hints as to which pens you may want to consider collecting. Let us know what you think of the article! What do you collect? How did you get started in fountain pens? Let us know. 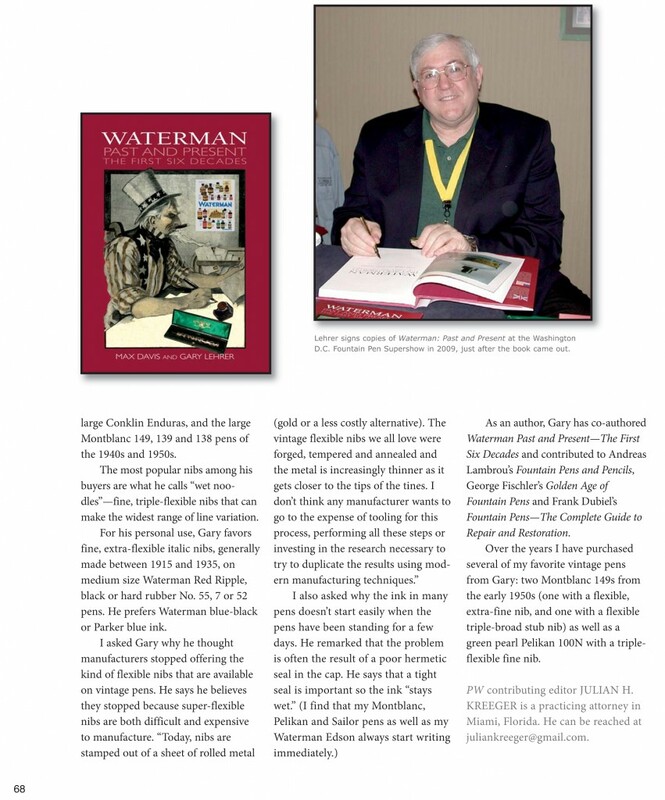 Article is Copyright Pen World, Masterpiece Litho Inc., Houston, TX, 2014, and reproduced with permission. 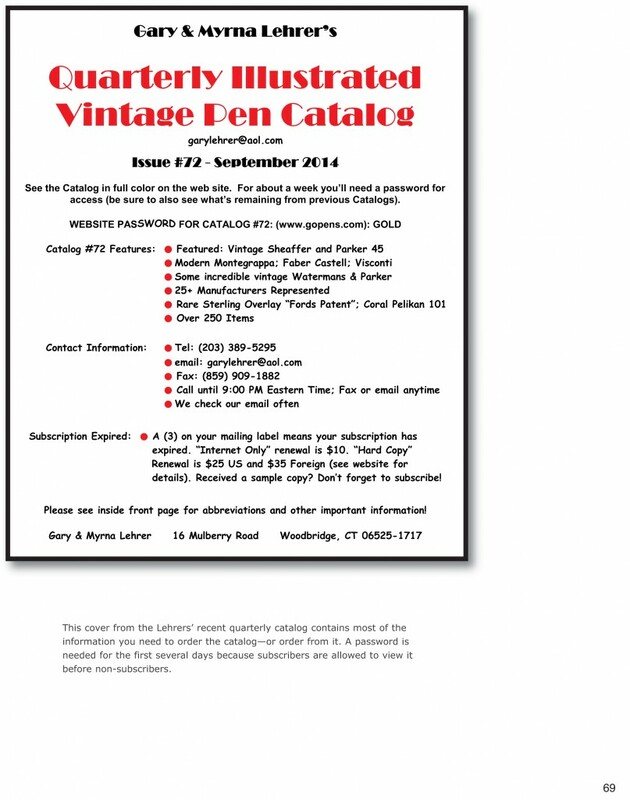 This entry was posted in Vintage Pens and tagged Fountain Pens, Go Pens, GoPens, Pen World, Vintage Fountain Pen, Vintage Fountain Pens, Vintage Pen, Vintage Pens. Bookmark the permalink. Follow any comments here with the RSS feed for this post. Post a comment or leave a trackback: Trackback URL.